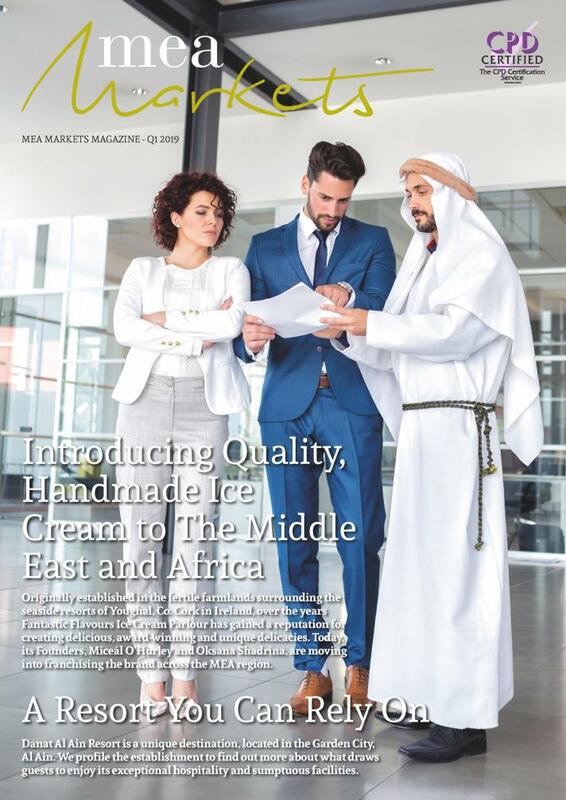 Welcome to the Q1 issue of MEA Markets Magazine, providing you with all the latest news and features from across the Middle East and Africa region. From collaborations and partnerships to product releases and research findings, this edition of MEA Markets is packed full of insightful pieces. In recent news, the Global CEO Alliance (GCEOA), a coalition dedicated to bringing the private sector together to achieve the United Nations (UN) Sustainable Development Goals (SDGs), and CDP, a global environmental impact non-profit that drives companies and governments to manage their environmental impacts, have announced that they are partnering to bring the CDP initiative to the United Arab Emirates (UAE). Both parties will join together and work with UAE policymakers and multi-lateral agencies to expand sustainability disclosure, support regional climate change efforts and promote the value of measuring and reporting on climate strategy and action through CDP's disclosure platform. Two other firms which are joining together, are Kodak Alaris and Newgen Software who have recently announced a new global strategic alliance that will provide their customers and channel partners with access to best-in-class solutions to help organizations drive digital business. The alliance is expected to generate new business opportunities for channel partners that work with Alaris and Newgen across geographies, vertical markets, and applications. In other news, the renowned Dubai-based off-plan developer, Sam Raja has recently announced plans to collaborate with real estate firm, Opus Homes. Since February, Dubai's property market has been on an incline as the Emirate's off-plan market recorded its best monthly sales performance since May 2018. This has opened up new avenues for both local developers and foreign investors. The team here at MEA Markets hope that you enjoy reading this issue and look forward to hearing from you.